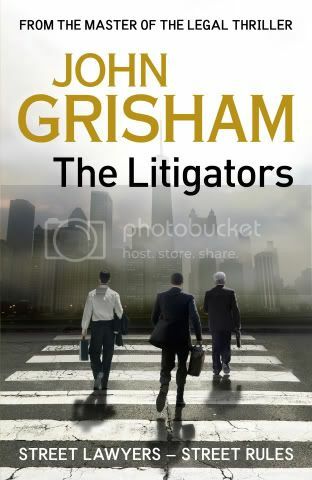 I have always loved John Grisham’s style of writing and the legal genre he writes, starting from “The Firm”, “The Pelican Brief”, “The Client” and many more. I have thoroughly enjoyed reading his works and when the latest in line “The Litigators” was released I had to read it. Litigators is the story based on the dirty world of the street lawyers and the high profile mass tort legal culture now an intricate part of the US legal system. The protagonist David Zinc belongs to a respectable family of lawyers and judges, himself a lawyer from Harvard and working for one of the most respectable law firm of Chicago finds himself cracking under the pressure and boredom of his corporate life. From working in the backend offices of Rogan Rothberg; in a bizarre turn of events David lands up at Finely & Figg, a two partner street lawyer firm. From the back offices David now finds himself in a new territory of street lawyers, where the partners carried gun. The partners were sleeping with clients, and chased ambulances, car wrecks and morgues for the new cases. The plot proceeds when their small law firm gets involved in the mass tort wave against one of the largest pharmaceutical giants Varrick labs over a drug called Kyaroxx. In a series of more bizarre incidents he is in the court with the two partners who have never appeared in the federal courts before. The story continues when David needs to come on the forefront of all litigation, protecting and finding a new life for his firm and his two partners. The story is evenly paced and the author has ensured that characterizations of the protagonist and other important characters happen in great detail. The story is weaved with multiple side plots which keep on progressing with the main plots keeping the reader engaged on multiple fronts. Where the book leaves the reader high & dry is the lack of the punch which is usually a characteristic of John Grisham, the plots are relatively predictable and the highs during the climax are missing. Towards the second half of the book one can get a hint of how things would unfold is visible to the reader. Also the build-up done in the first half doesn’t carried across to the end. Overall the book is a good picture reflecting on the world of mass tort litigation and street lawyers, author has ensured the dark side of the street law the non glamorous side has been covered in detail. Summary: An average read might disappoint readers expecting usual John Grisham type thrillers. Pick up if you like the legal thrillers genre. i have to say..I’ve been pretty disappointed with quite a few of his last books… it isnt the same as before.. there are much better “courtroom” drama authors these days than him, i FEEL.